Thanks to everyone who attended our 2014 “Giving Tree” unveiling on Friday! 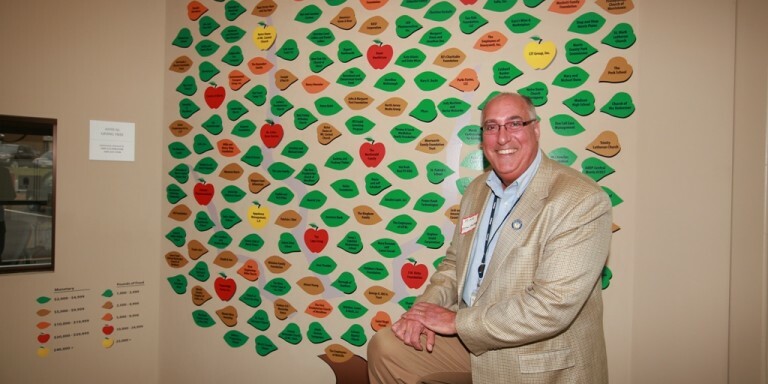 Our giving tree resides on a wall in our main lobby and features the names of those who made co $2,000 or 1,000 pounds of food or more in 2014. While we would love to acknowledge everyone who helped we simply do not have the space- but know that we appreciate you all. Feel free to come by to check it out. Also much thanks to Refined Sight for donating the production of the tree.